I have wanted to read this book since it first came out in 2007. I’ve waited in anticipation for three years, and it was definitely worth the wait. After all, it is Sports Illustrated’s Great Baseball Writing. 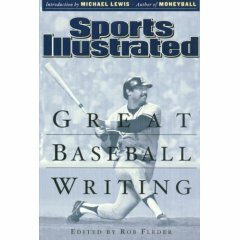 A volume of the best baseball writing from arguably North America’s best sports magazine between 1954 and 2004. Of course it’s going to be good. The content really is fantastic. Leigh Montville writes about the last days of old Tiger Stadium in Detroit. The mystery of Billy Martin is tackled by Frank DeFord. Peter Gammons talks about the fans of Boston’s love and support of Bill Buckner after his disastrous misplay in Game 6 of the 1986 World Series. On and on the book explores every corner of baseball, from famous names like Mickey Mantle and Stan Musial to the magic of a triple to a Japanese-American revolutionizing the way that the game is played in Hiroshima, a city devastated by the Second World War. Of course, it’s still subject to the great Achilles’ Heel of its weekly magazine source: some of these articles get dated, and fast. For example, right now, there is a recent Sports Illustrated – cover-dated May 17 - sitting on my coffee table with Shaquille O’Neal staring at the reader with the headline “Good old Shaq: Can He Deliver a Ring to the King?”. Pretty awkward when LeBron James, Shaq and the rest of the Cleveland Cavaliers were eliminated from the National Basketball Association playoffs on May 14. That kind of automatic obsolescence is the nature of a weekly publication schedule, but it makes for some uncomfortable reading in a book that collects those articles years later. Chapters like Steven Cannella’s “Against the Grain” (March 25, 2002) don’t hold up well as it explains the influence of the maple bat and how “the ball jumped off it with more zip”. Maybe maple bats do help batters. Maybe Cannella was reporting on what he felt was a real factor in the power surge. I’m not sure. Unfortunately, the piece comes across as a ham-handed attempt at explaining the steroid-fuelled surge in home runs in the late 1990s and early 2000s. Reading Tampa Bay Devil Rays catcher John Flaherty say that “People talk about the ball being juiced. I’ve been saying for a while now that the wood is so much better than it was when I came up,” makes me cringe because I can’t help but think that the ball and bat have nothing to do with the rise of the long ball. 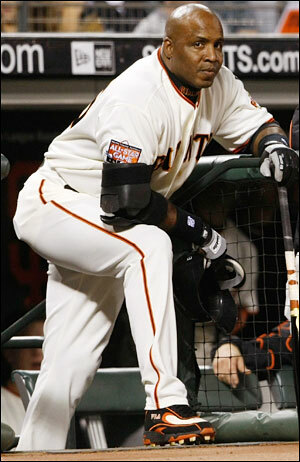 Every time Barry Bonds is mentioned in this book awkwardness ensues. Sure, Bonds probably did adjust his batting stance at different times in his career, but there’s also a lot of circumstantial evidence that suggests that he used performance enhancing drugs during that same period. The Steroid Era has left me so cynical that I can’t help but believe the latter over the former and that Verducci was naive. Then again, that’s probably the point. After all, this is a book dedicated to the entirety of the baseball experience from 1954 to 2004. The ignorance of fans and sports journalists about steroids between the mid-1990s and mid-2000s is certainly a part of that history. All in all, Sports Illustrated’s Great Baseball Writing is an excellent read. Just be prepared for some rather uncomfortable articles that seem ridiculous in light of the Mitchell Report and other investigations into steroid use in professional baseball. Some of the articles just do not hold up in the face of more cynical examination. 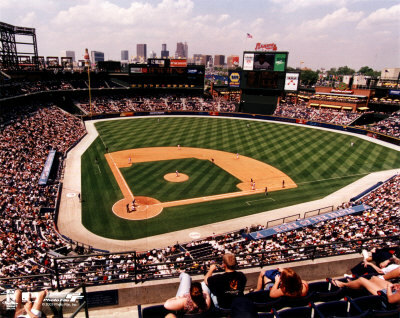 One of the things I love about baseball is the relaxing atmosphere of afternoon games, particularly when broadcast from Turner Field on Peachtree TV. I’m reading Sports Illustrated’s Great Baseball Writing and I’ve learned something from the various essays and articles in the volume – the great American pastime is always in a state of hand-wringing about the State of the Game. Think about it. At the turn of the 20th century there was great concern over the hoodlums who played the game. The 20s were marred by gambling scandals, primarily the one revolving around the Chicago White Sox and the 1919 World Series. After that was World War II, segregation, integration, labour strife and, most recently, steroids. There’s always a new problem plaguing the sport. In all that doom and gloom there isn’t enough talk about what makes baseball great. I’m as guilty of this pessimism as the next person. This season alone I’ve taken shots at my hometown Toronto Blue Jays, complained about lengthy games and weighed-in on Joe Cowley and talk of moving the Jays. So let’s get positive. Let’s talk about three things that I love about baseball. Nobody likes to work during the summer. It’s a drag. Everyone would much rather be outside, enjoying the sun. Unfortunately, employment is a necessary element of being a part of today’s society. However, baseball matinees can provide some respite from the drudgery of work. Following the game on the radio, on TV or on the Internet is always a pleasant distraction from a job. A particular favourite of mine is to follow the Atlanta Braves on Peachtree. Their announcers are laid back and the fans at Turner Field are great. It’s always relaxing and fun to watch. I really enjoy the little social behaviours that surround baseball games. Waiting for the half inning to return to your seat after a trip to the concession stand. Judging a person’s character based on whether or not they use the real pitcher’s rubber during the opening pitch. Singing, stretching and dancing during the seventh inning stretch. They’re all good. A particular favourite is the habit of Torontonians to boo any opposing team that dares to have a mound meeting or try to pick-off a runner. No matter what the situation, Jays fans go nuts at the very thought of another team trying to invoke strategy. Baseball fans can’t compete with other sports’ supporters in terms of passion or intensity, but they are definitely smarter. Hockey fans, as much as I love ‘em, are basically only capable of three sounds – boo, cheer and Go <team name> Go! The rest of the game is spent in a fixed state of concentration. Football and basketball fans are much the same. However, baseball fans sing songs together, come up with chants, and best of all heckle. No matter where they’re sitting in a stadium they will yell at the top of their lungs lengthy diatribes on their target’s short-comings as a player. Their knowledge of bench players and opposing teams runs deep too, with many fans citing the personal lives of the athlete. Remember when it was rumoured that Alex Rodrgiuez was stepping out on his wife with Madonna? Good times. Truly, a golden age of heckling.